IoT solutions are comprised of lots of technology components including hardware devices, connectivity, middleware and application layers. At its core, an IoT solution like fleet management, remote asset tracking, smart electric meters or smart buildings facilitates the delivery of IoT data to applications. While there are many ways to link IoT devices to applications, one of the best ways is by using an IoT application enablement platform (AEP). People often ask why an IoT AEP is useful in creating an end-to-end IoT solution. In this article, I’ll take a closer look at the three reasons why you need an IoT AEP and why it is an important building block of any market-leading IoT solution. Reason #1: You want your IoT solution to be reliable at scale. Today’s market requirements demand that a platform can both scale up to support millions of devices with different usage and technology characteristics as well as scale down to support limited-deployment, single application pilot projects. A quality IoT AEP has architected its solution to allow organizations to deploy devices cost-effectively and quickly with a pay-as-you-go business model. At the same time, as platforms allow varying scales of deployments, the reliability must remain high. Use of redundant and fault-tolerant architecture is a must to eliminate outages and data loss for all but the most extraordinary of circumstances. Building such IoT-ready infrastructure in-house is feasible, but requires a significant engineering investment. An IoT AEP provides a reliable and cost-effective platform upon which an IoT solution can grow. Reason #2: You want your IoT solution to have sophisticated user- and role-based security. All secure IoT implementations have a robust and flexible way to create and enforce permissions schema to ensure that users, things and systems all have access to just the necessary subsystems. This security concept is known as minimally required access. In order to accomplish this, controls for authentication and authorization should be sufficiently granular to allow for complex permissioning schemes to be implemented and modified over time. Building an access control subsystem is rarely a core competency of enterprises deploying IoT solutions. But it is an integral component of a well-designed IoT AEP — another reason why organizations deploying IoT solutions are best served by using an IoT AEP. Reason #3: You want your IoT solution to be future-proof. Your first IoT solution will not be your last. Be assured that you will want to make modifications to existing solutions over time and create completely new IoT solutions. Savvy enterprises will incorporate an industry-agnostic, horizontal middleware core, like an AEP, to reduce the complexity of future changes to their IoT solutions. IoT middleware — and its clean and well-documented southbound (device-side) and northbound (apps and backends) APIs — creates a clear and logical separation between the different layers of the IoT technology stack. This enables businesses to adapt to changing business needs and reduces the engineering costs of future IoT deployments and incremental solution changes. AEPs solve industry-agnostic IoT requirements. The best IoT solutions will need to be scalable, secure and future-proof. Many of the problems solved by AEPs require significant investment and specialized know-how. These key traits of award-winning IoT solutions are also rarely a core competency of most public or private sector enterprises. 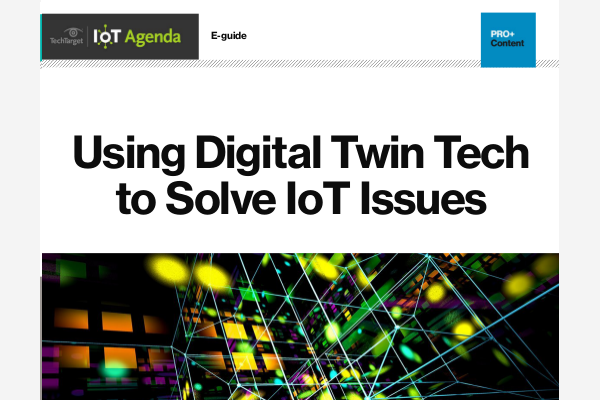 Using an AEP enables such organizations to focus on differentiating their IoT solution.